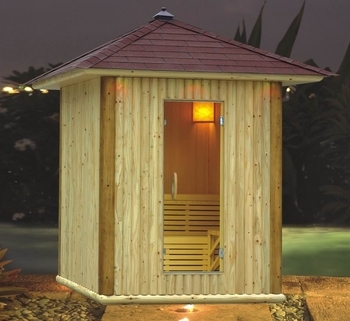 Our outdoor traditional sauna doubles as your outdoor steam room. It comes with stone stove heater and hygro thermometer. Comes with bucket, ladle and backrest . Top quality UL certified Harvia Heater with stainless steel element for long life. Can be used as dry heat or steam by pouring water on rocks.